Go Go’ers, April showers bring…wetness. Then there will be sunshine. The May flowers may or may not happen but the last weekend of April will. If you nodded enthusiastically at any of the above, a) you are morbid and b) save the weekend for the Comedy Shorts Film Festival. Actor and comedian Gary Anthony Williams (Boston Legal, Malcolm in the Middle) and Jeannie Roshar created the dedicated-to-funny fest out of frustration after their comedy short was forced to compete in other fests against heavy-hitter films with subjects like genocide. See this image, hope for the Apocalypse. Hard to get a chuckle after that last one. Williams and Roshar allegedly screened 800 entries s to come up with the 89 contenders in the four-day fest. Selected shorts include newbie quickies as well as name brand entries from the likes of Michael Cera, Wilmer Valderrama, Margaret Cho, David Allen Greer, and Kids in the Hall Scott Thompson whose short The Immigrant opens the fest on Thursday. Films will be screened in two-hour blocks with pun-tastically Apocalypse-themed titles like “It’s a Wrap-ture” and “Doomsday Come and Me Wanna Go Home”. There will be parties for woo-hooers and wannabe shorts-titans can attend panels with the likes of the legendary Buck Henry (SNL, Heaven Can Wait, Get Smart). Ladies and gentlemen, start your shoe phones. L.A. 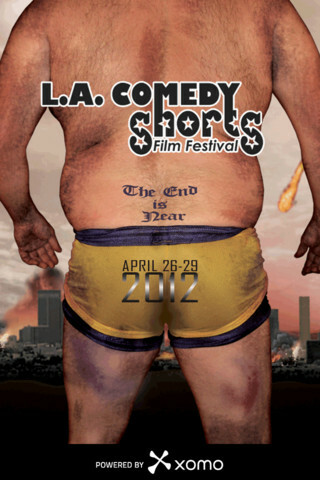 COMEDY SHORTS FILM FESTIVAL — Thurs, April 26 – Sun, April 29 — Downtown Independent Theater, 251 So Main St, DTLA. Hopefully, they won’t fall off before you get there. Zombie Joe’s Underground Theater is famous (infamous?) for grim productions like Urban Death. 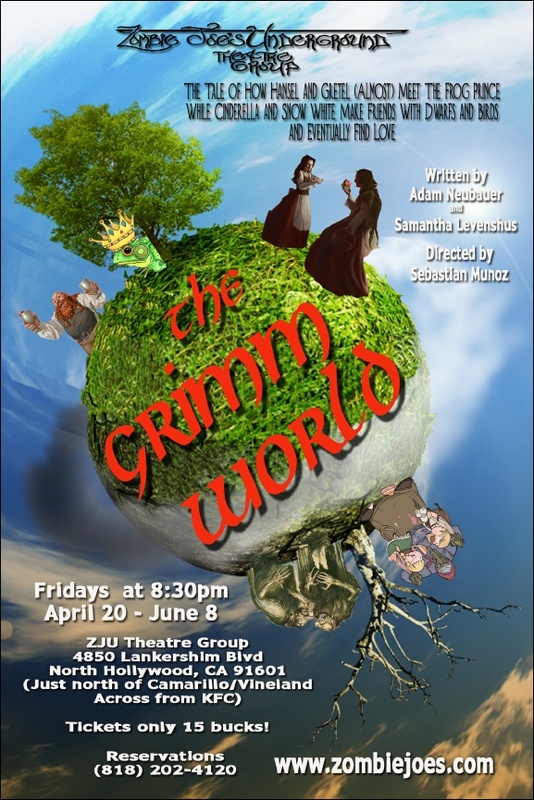 So you’d be forgiven for expecting The Grimm World, directed by Sebastian Munoz with music by Mike Maio and costumes by L.A. Weekly Theater Awards-nominated Jeri Batzdorff, to focus on the more macabre (read “non-Disney-fied) elements of everyone’s favorite fairy tale tellers. Adam Neubauer and Samantha Levenshus, who co-wrote The Grimm World, were equally intent on staying true to the darker elements of the original tales and therefore interesting to adults while keeping the play appropriate for kids (10 and up). Expect The Grimm World to be more high energy than high scream. …whose stepsisters will presumably have eyes. Yikes. Month of Photography Los Angeles (MOPLA) is almost over and your photography viewing needs have yet to be met. Admittedly, your photography viewing needs are prodigious. To give you a final fix — and MOPLA the send-off it deserves — Create: Fixate presents Snap Flash: a big Saturday bash with 40+ artists, DJs and musicians. 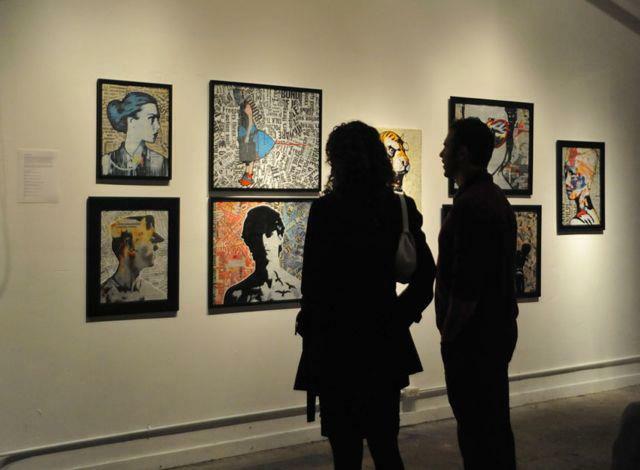 All mediums and styles will be represented including: film, digital, 3D, multi-media image manipulation, and interactive. You’re all about the interactive. Highlights of the Optical Lounge include: prolific music video director Dean Karr (Marilyn Manson, Ozzy Osbourne, the Dave Matthews Band); photographer Andrew Matusik, whose fashion work includes mind-bending surrealism; the digitally projected 54th Hollywood International Stereo Exhibition 2012 from The LA 3-D Club; and internationally lauded video installation artist Tiffany Trenda who will be presenting her latest performance Camera Obscura: an interactive live performance piece and video installation with models, dancers, and performers that allows you, the viewer, to participate by taking a photo that will then become part of the piece online. Ms. Go Go hopes her phone will be artistic as well as smart. The Audio Lab (a.k.a. music portion of the evening) includes musical stylings by Garth Trinidad (KCRW), Joplin, and Space Ribbon. Seriously. You gotta love a Space Ribbon. Families are welcome from 4:00 to 7:00 p.m. when there will be plenty of art materials for use by young artists. The main event, which starts at 7:00, is 21+ only. UPDATE: The updated post correctly lists “Camera Obscura” as the current piece by internationally award winning video installation artist Tiffany Trenda. ATTENTION GO GO’ERS – U Want 2 Go Go should be arriving in your in-box on the DAY OF the first event if not before. If your posts are significantly delayed, please let Ms. Go Go know via the Comments. Merci beaucoup!